Beer, Wine, Food and Tennis. 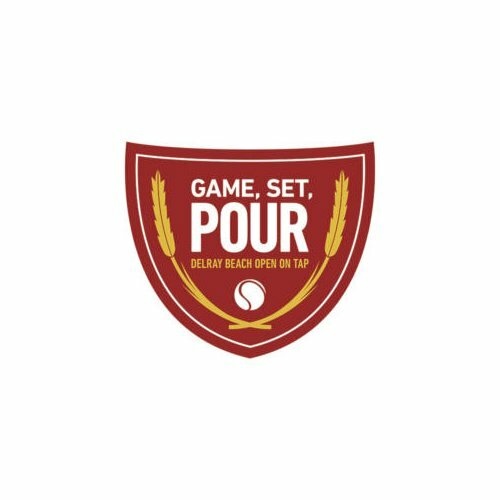 Come out to the Delray Beach Open by VITACOST.com on FRIDAY, FEB. 22, 2019 for the GAME, SET, POUR event, featuring Local Breweries & Restaurants, Unlimited Beer, Wine & Food Sampling! Must be 21+ to enter. A portion of the proceeds to benefit ACEing Autism*. Highly sought-after tickets provide a VIP experience from 5:30 – 6:30pm, with an extra hour of exclusive tasting of all beers, wine and food, a VIP Welcome Pour in a commemorative tasting glass. Doors open at 6:30pm providing you access to all of the craft beers, wines and food…all for your tasting! We work with the best brewers, restaurants and winery around to ensure an ultimate experience. *All Tickets to the event include a ticket to the evening’s Quarterfinal pro tennis matches. *GAME, SET, POUR held rain or shine.